Rise, fish, fight, feint, dive, and repeat. You are a fledgling pilot, inching ever closer to a mythical sky whale to fulfil a dream your father always had for you. In Airheart: A Tale of Broken Wings, each flight is a battle to survive so that, on your next flight, you are stronger. Blindflug Studios’ “diesel-punk airplane action game” is the journey of Amelia, a skyfisher 𑁋 which is exactly what you think it is 𑁋 from the city in the sky, Granaria. In every one of Airheart‘s runs, you set out to gather materials from the game’s beautiful levels, each a “sky layer” with different fish and a different layout to be learnt if you want to be effective in combat (and retreat, when necessary). 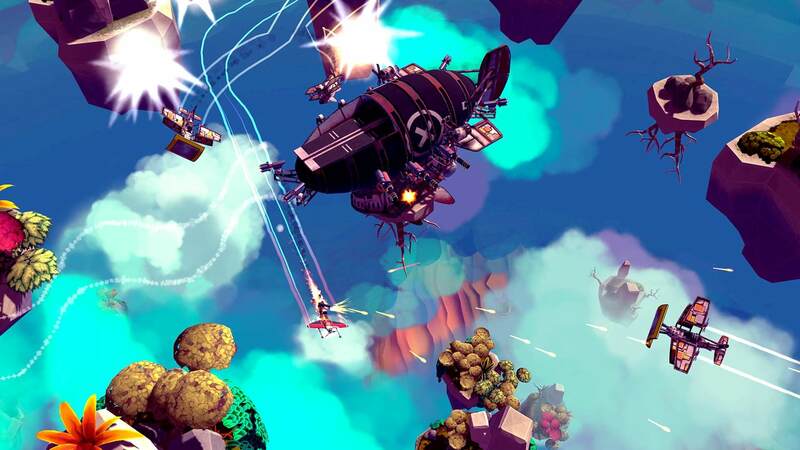 Airheart has a smart visual mechanic whereby the intensity of the colours matches how populated the area is with fish. Overfish and the area becomes a grey, deserted husk of its former self, a grayscale reminder of your own reckless self-indulgence. But Airheart has you in a bind, because you will need to fish to thrive. 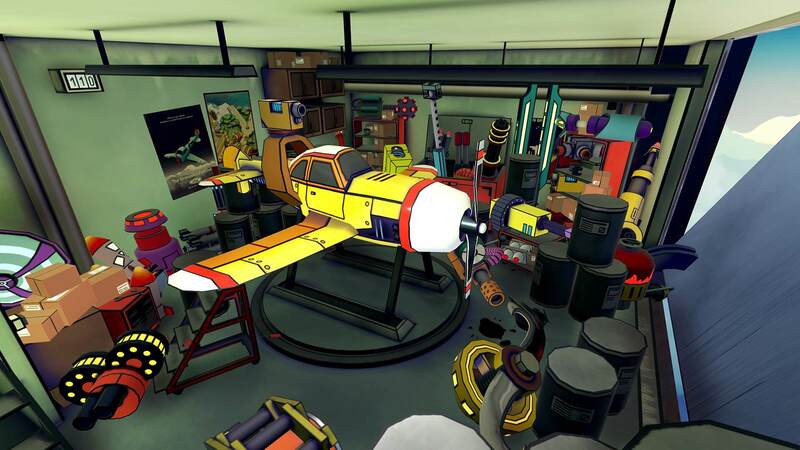 The game’s most valuable resource is fish oil which you collect and use to buy weapons and parts for your plane. Perhaps surprisingly, all of the upgrades seem to be immediately viewable in the shop, although they are far, far out of your initial budget. Airheart tempts you with the option to grind with a sub-par plane in the hope of buying a scandalously overleveled piece of gear. But be warned, if you are shot out of the sky during your grind, the penalty is punitive. Get hit one too many times, and you will hurtle towards Granaria. Make the crash landing and you will make it out with some of your cargo at the cost of one of your upgrades. Whilst not a problem as you get further through and have a relative arsenal to pick through, this is incredibly frustrating in the early game as you are likely to only have one decent upgrade per attribute, so being shot down makes not just one run pointless, but also the previous grind to get that shiny new assault gun. However, if you get shot down and miss Granaria, it’s game over. Permadeath is risky and always divisive. It takes confidence in your game and requires an addictive quality that the early game of Airheart lacks. This overall harshness of punishment forces you to take an overly conservative approach when it comes to returning to your base and cashing in which robs Airheart of the risk/reward based adrenaline rush it could so easily have employed. Airheart does try to reduce the emphasis on having to purchase parts. There is a crafting system that opts for a “figure it out yourself” approach but it is missing the requisite signposts to give you an idea of what might work. Buying upgrades does reveal how to craft them, which does remove some of the frustration when hurtling to Granaria. You might lose your new engine, but you might be able to salvage enough from the wreckage to build yourself another one. And pick through the wreckage you will have to. After the first couple of levels, you are overwhelmed by pirates, the game’s main enemy. 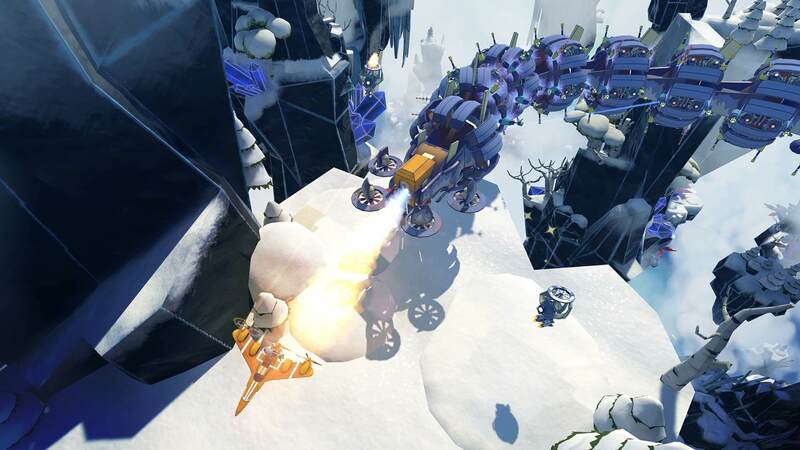 The abundance of enemies demands a level of accuracy and agility that the game’s twin-stick shooting struggles to accommodate for the most part. One-on-one is simple enough, even two-on-one, but in the maelstrom towards the centre of each layer — and towards the boss battles — only the most expensive weapons feel effective. As such, grinding is usually the answer to stagnation. Whilst Airheart offers a concept to be excited about 𑁋 roguelikes and planes 𑁋 it does not execute on it well enough to make the grind consistently enjoyable. Airheart: A Tale of Broken Wings is available now on Steam, Xbox One, Nintendo Switch and PS4. Strengths: humility. Weaknesses: grasp of irony.